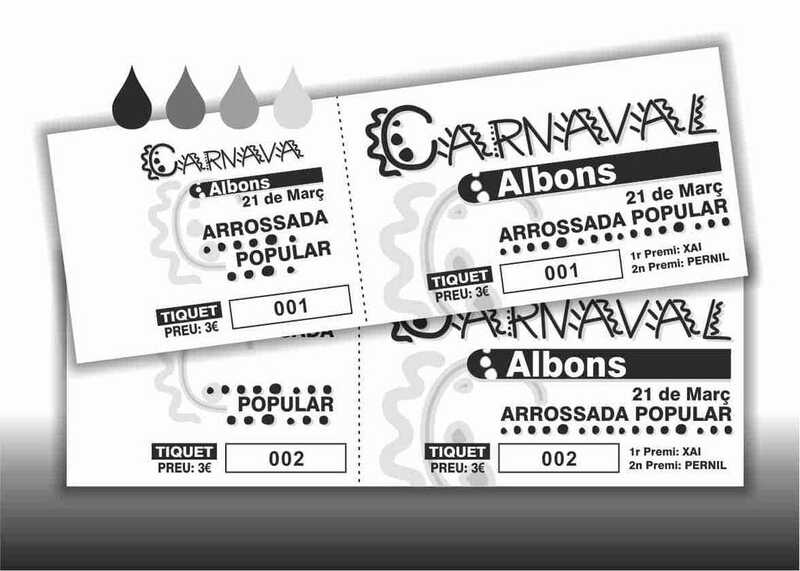 Tickets printed to 1 face in black ink with white paper or of color, ideal for any event. Checkbooks of 50 income numbered and perforated vertically in two parts (entry and counterfoil) to start. With paper of 90 gr. to 1 face. Size 17 x 5,5 cm.